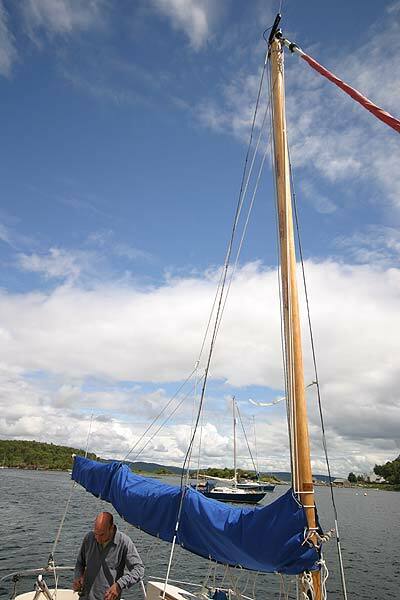 Of a total of 30 built, this is hull number 5 of this lovely trailer sailer design by David Thomas for Hunter Boats. 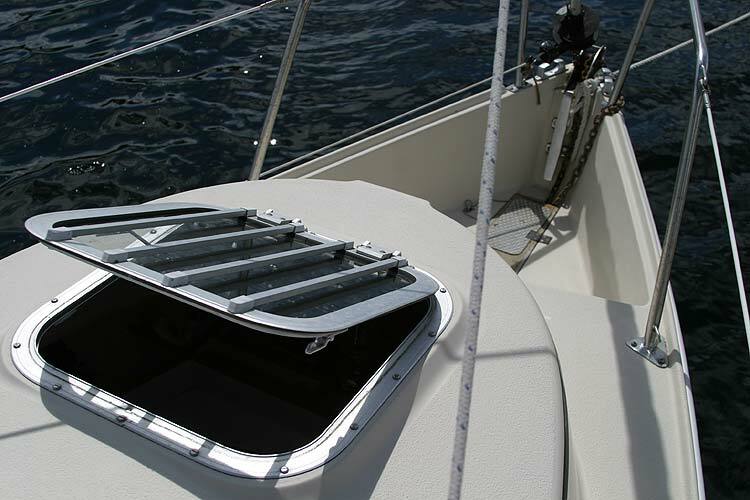 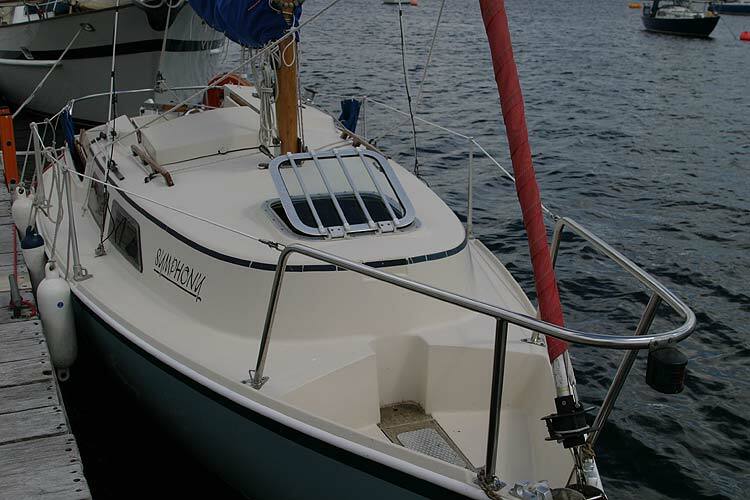 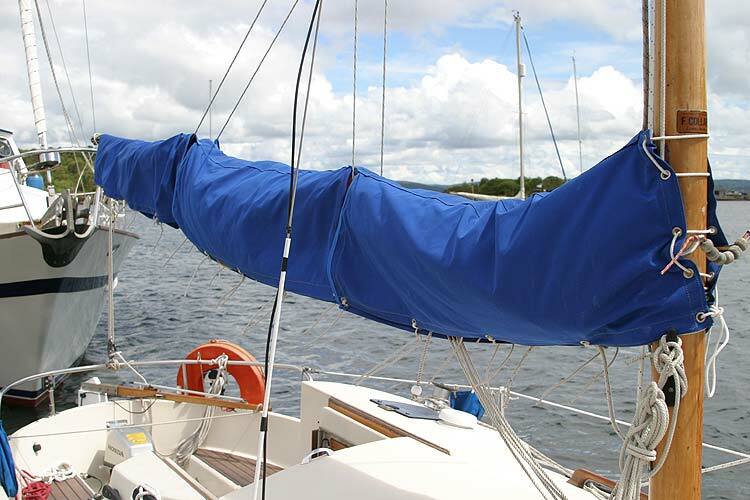 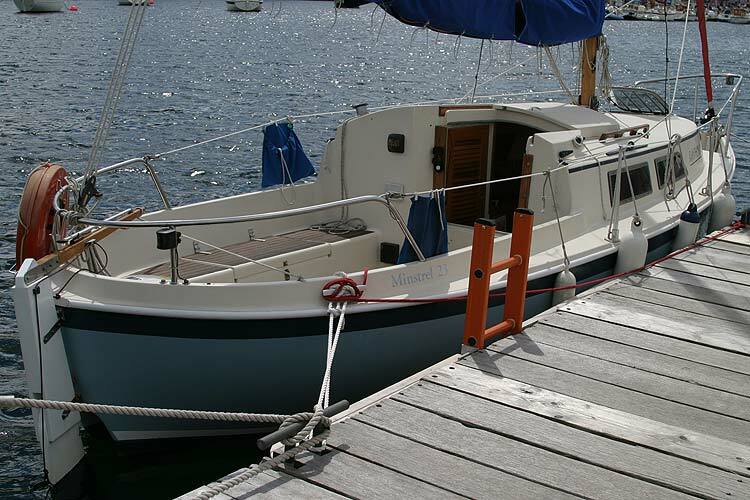 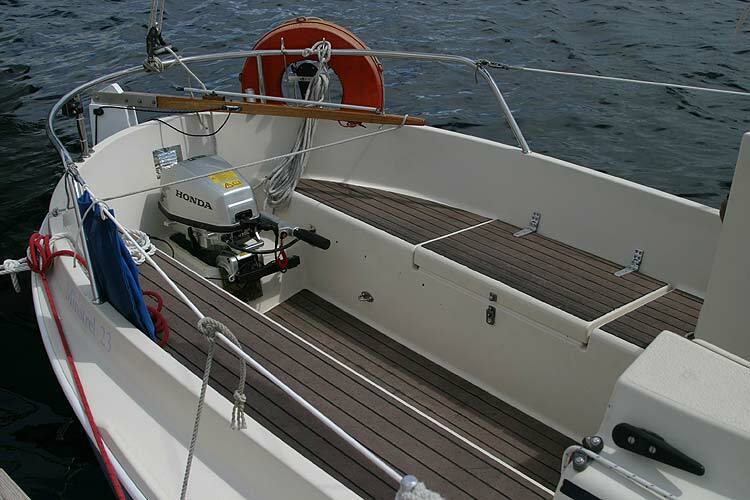 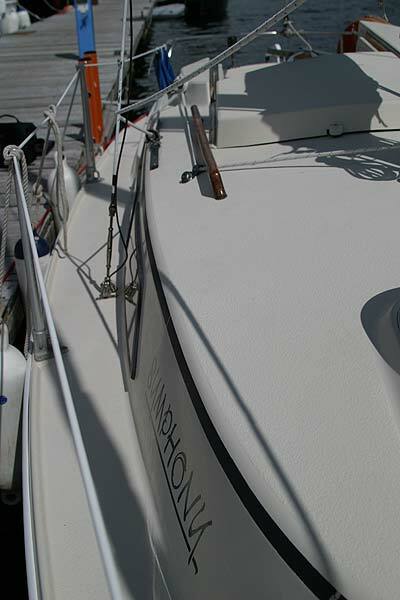 Light and easy to handle with her Gunter rig, she is an ideal coastal explorer, either single handed or for a couple. 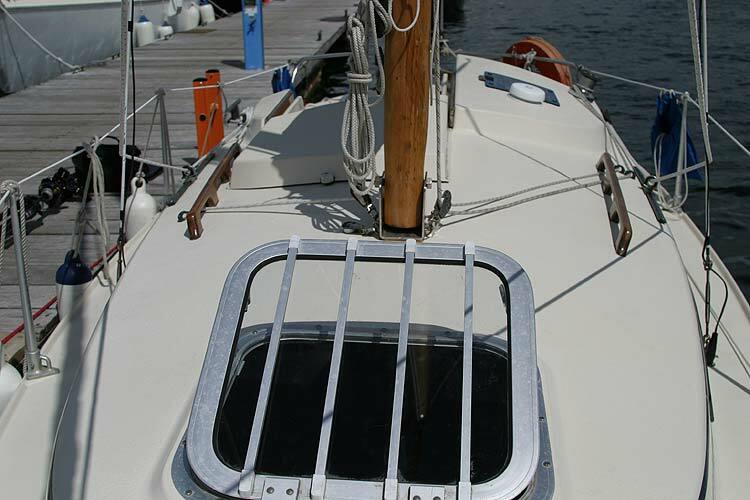 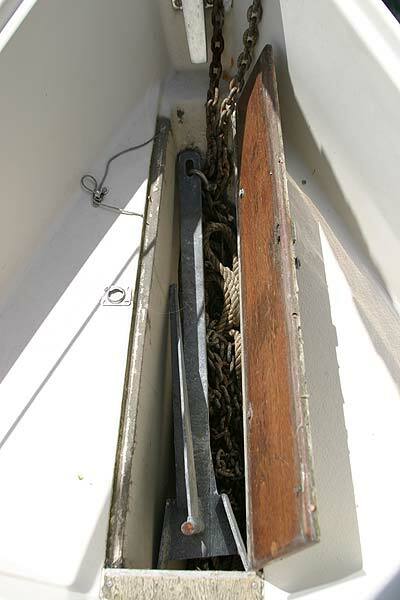 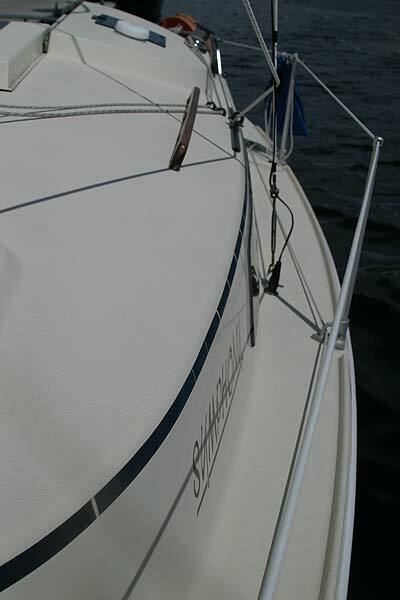 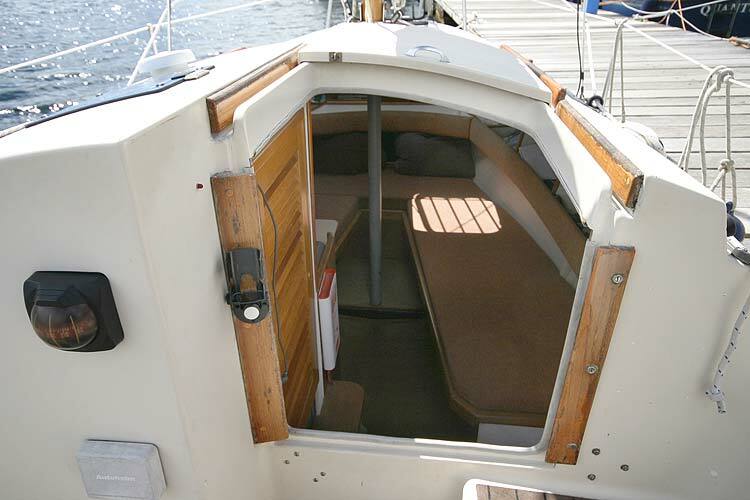 Her swing keel gives her a draft of 3ft 6in and a good sailing performance and a shoal draft of only 14.5 inches lets her into lots of quiet little places to anchor. 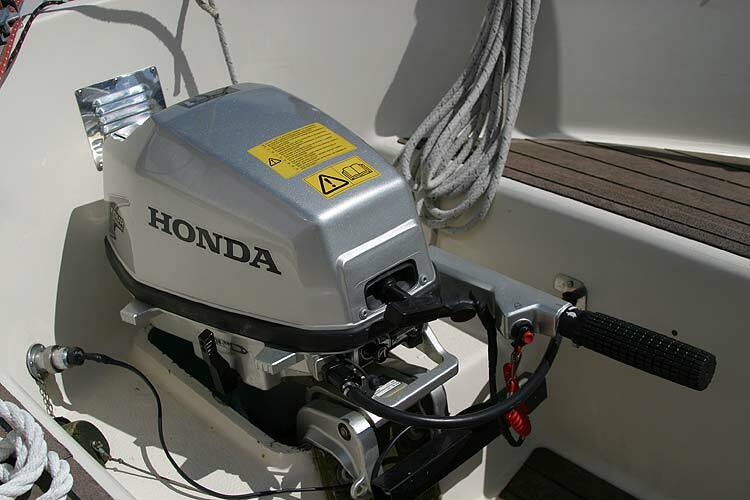 A new Honda 5 HP 4 stroke outboard was fitted in 2006 and has a 25 litre tank for extended range under power. 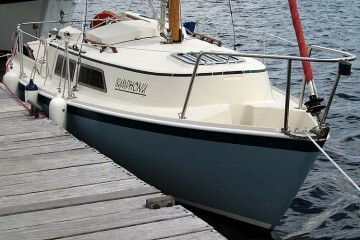 Gel shielded from new she is in excellent condition and ready to go. 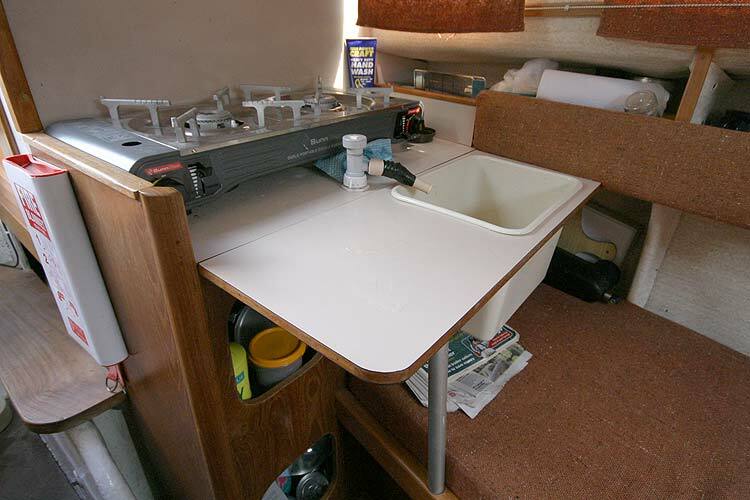 Price includes road trailer. 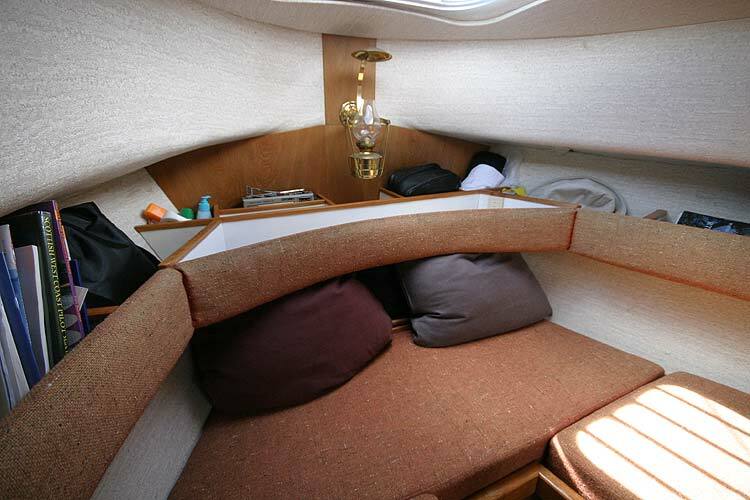 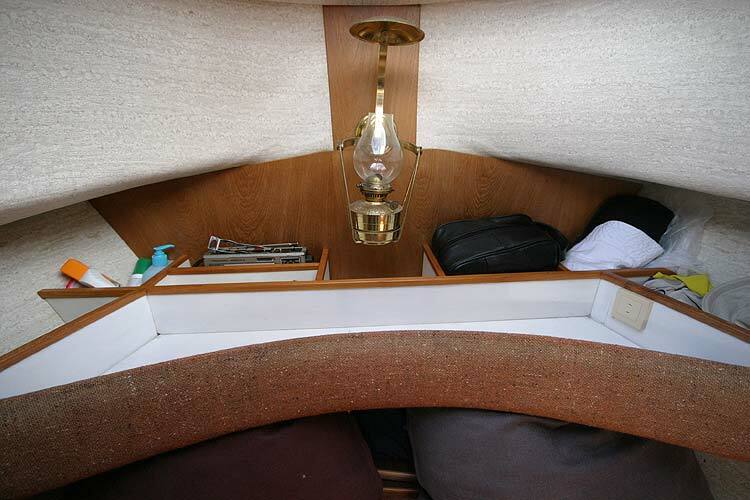 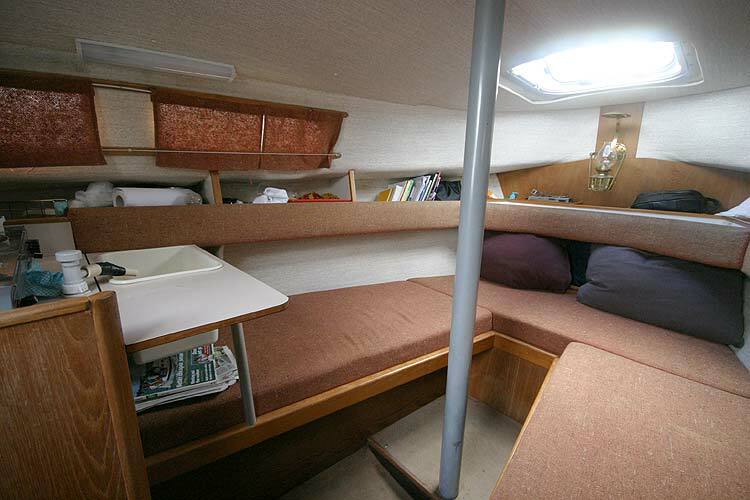 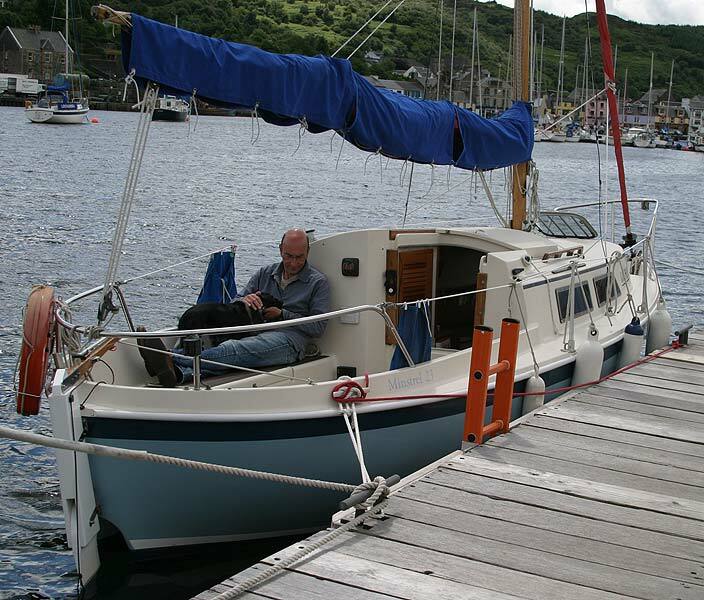 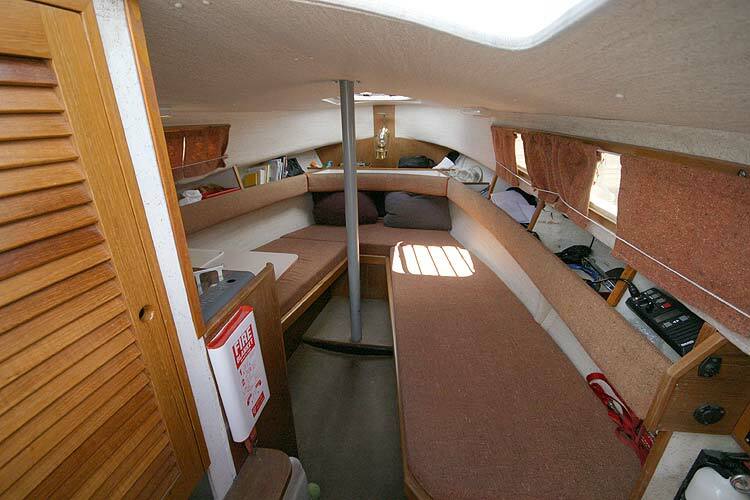 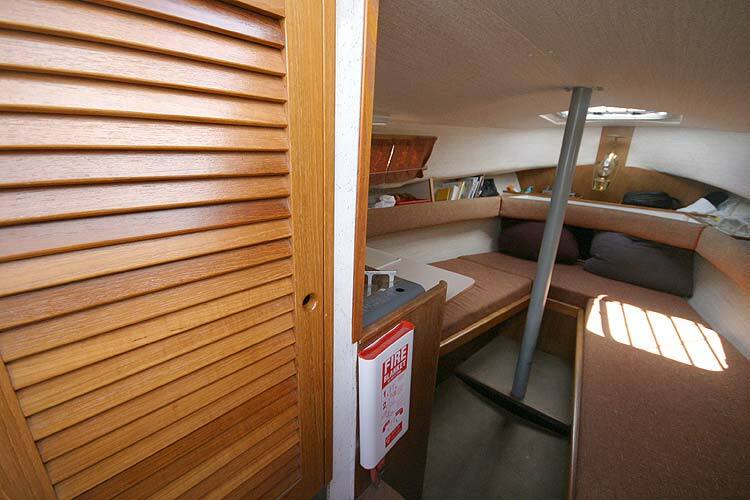 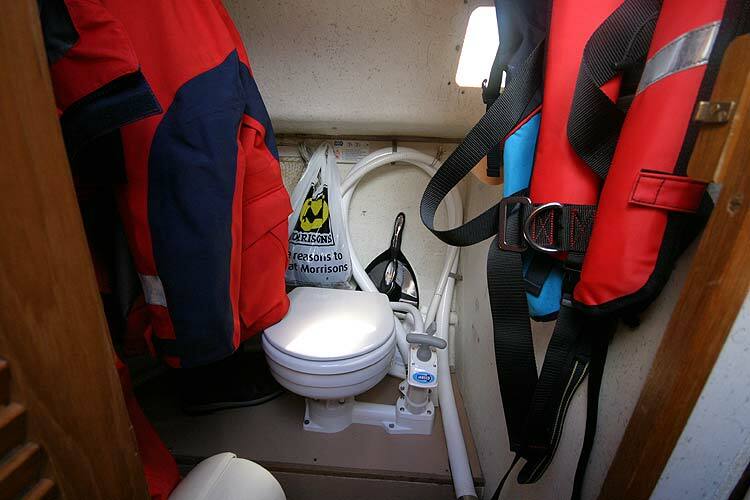 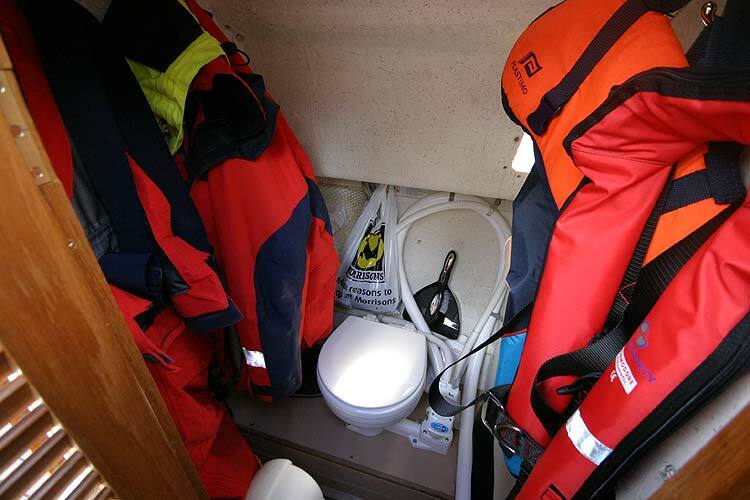 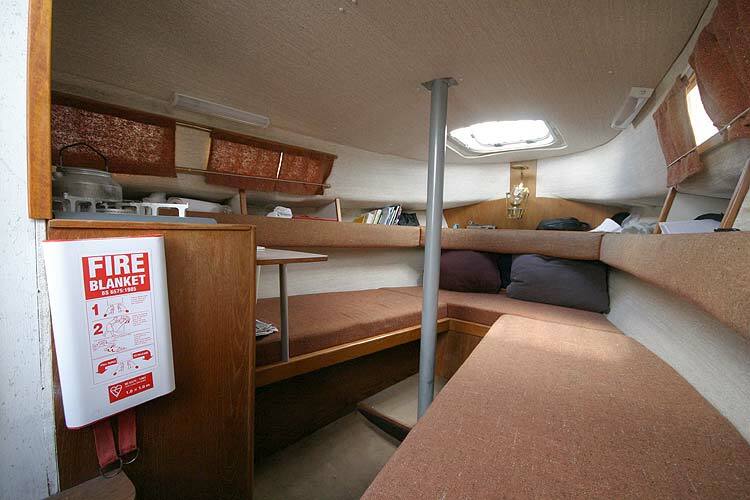 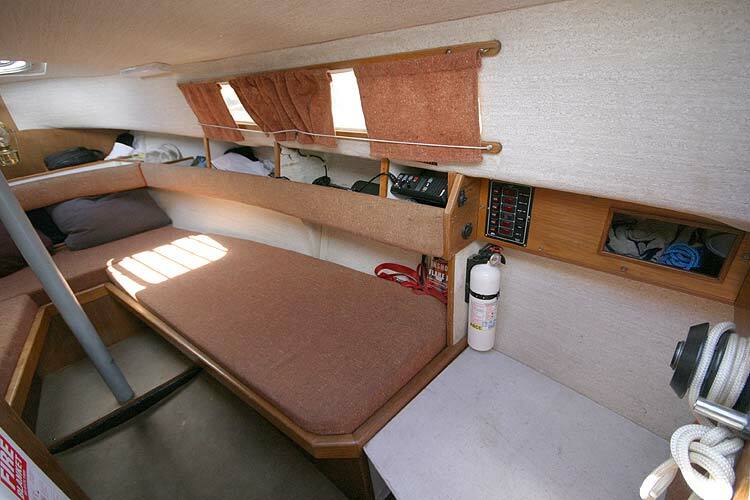 3 berths, twin "vee" forward and quarter berth on starboard side and a new Jabsco sea toilet in the heads. 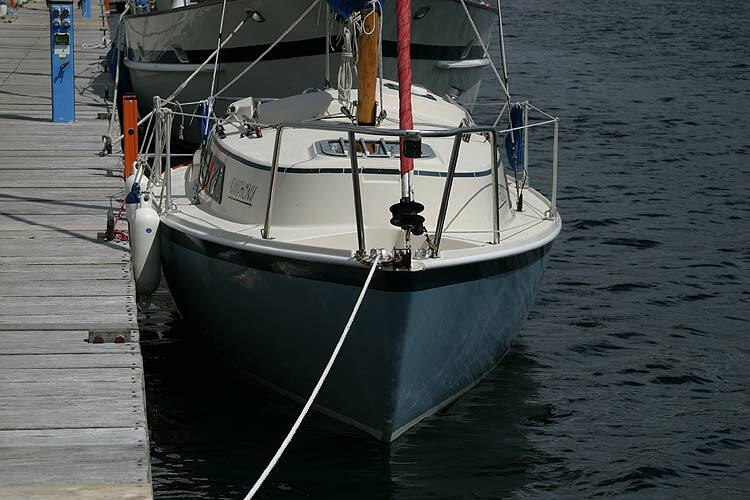 Gunter rig slab reefed main, roller reefing gib, both red in colour. 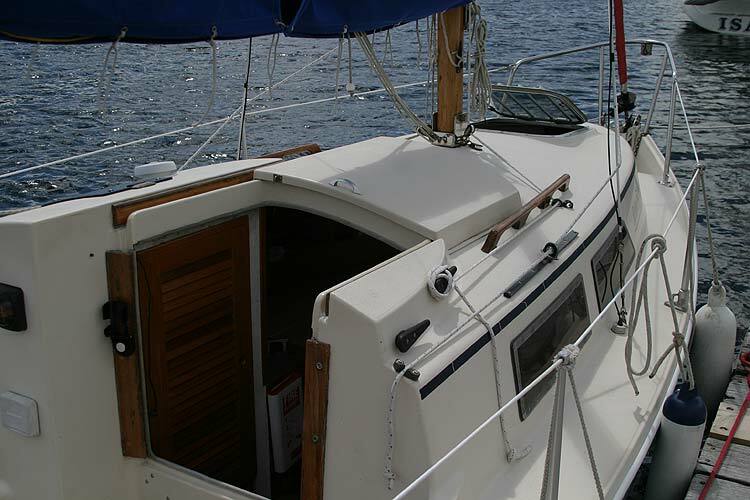 Autohelm Bidata depth/log, barometer, compass, Garmin GPS 12 with bulkhead mount and external power supply. 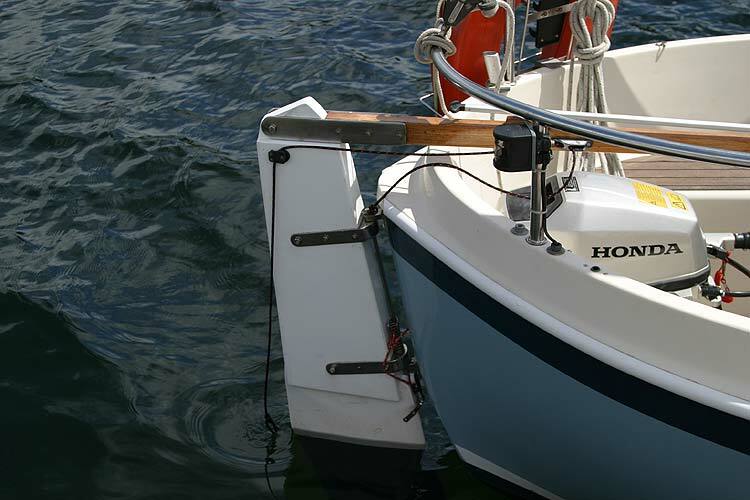 12 volt, single 100 AH AGM battery, with charging from solar panel and alternator on the Honda outboard. 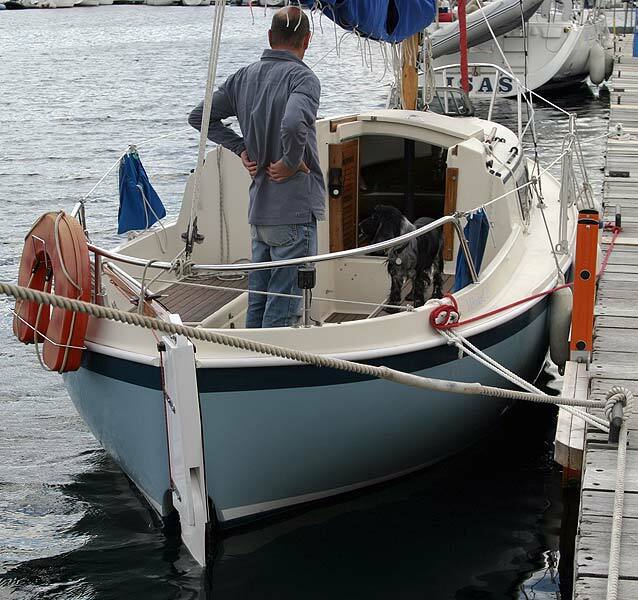 Autohelm AH800 tiller pilot. 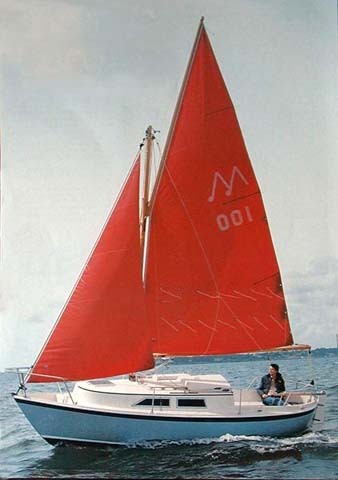 Navico RT6500 VHF(not DSC). 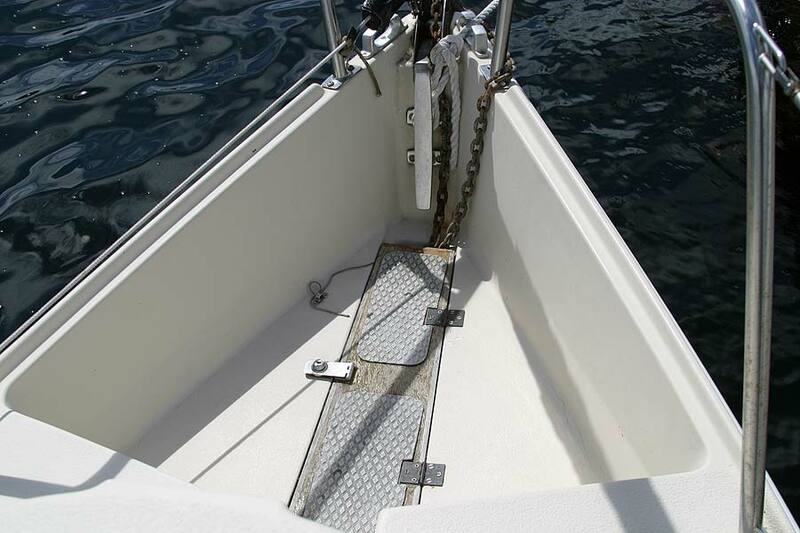 Including galvanised "piggyback" launching trolley / road trailer. This boat is no longer for sale and remains here solely as an information resource for those researching Hunter Minstrel's.